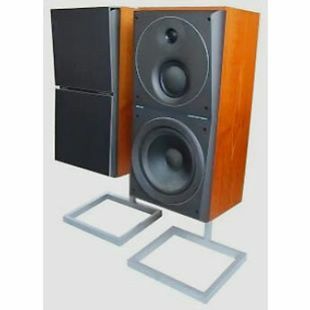 Beovox S55 was an ideal bookshelf speaker, but could also be used as a wall-mounted or free-standing model with the optional fittings available separately. The pressure chamber cabinet contained a 21cm bass driver, an 11,5 mid-range/phase-link unit and a 2,5cm tweeter. Power handling was 55 watts RMS.